Remember the little kid in you that counted every rupee that spent, saving up for that cycle that you always wanted? 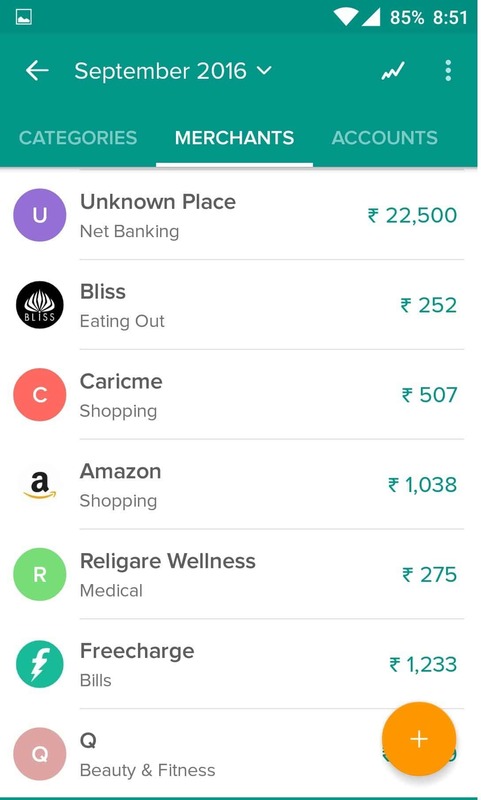 While we live in 2016, spending out of a PayTM wallet, Ola money and cashless transactions, we have virtually bid good-byes to book keeping for all our expenses. 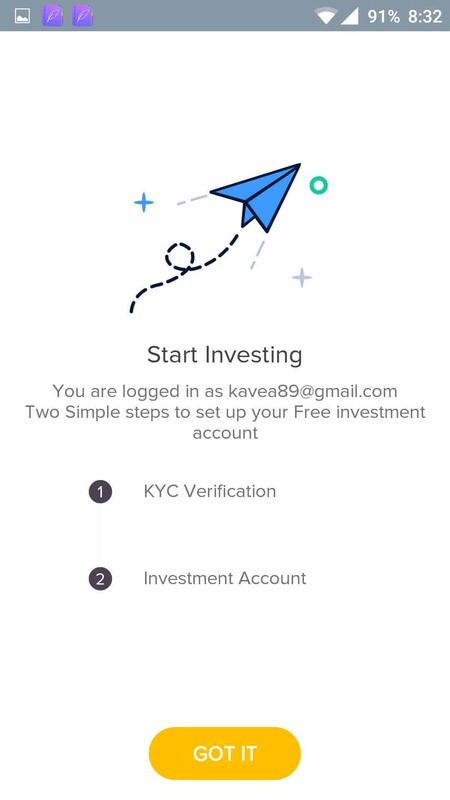 Although there are ‘Statements’ sent to your email by all the wallets you signed up for, all the prepaid cards you loaded, there barely is time for you to sit in one place and put them all together – So, breathe and let ET Money do it for you. 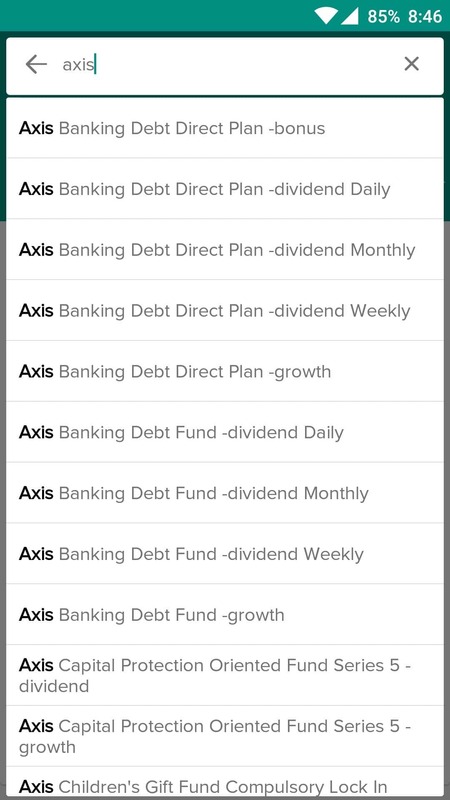 If you think this is just another finance manager app out there in the playstore, giving you annoying notifications, redundant entries for a single transaction, you might be wrong. 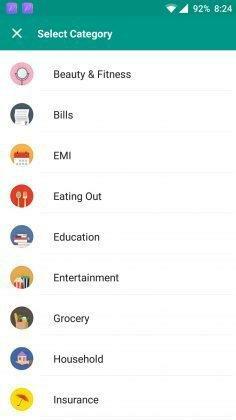 I’ve personally not been happy with the screens in most of the finance manager apps as it throws out a lot of data that doesn’t make sense to me; it either doesn’t have enough categories I can list my expenses in or it has too many that baffles me. 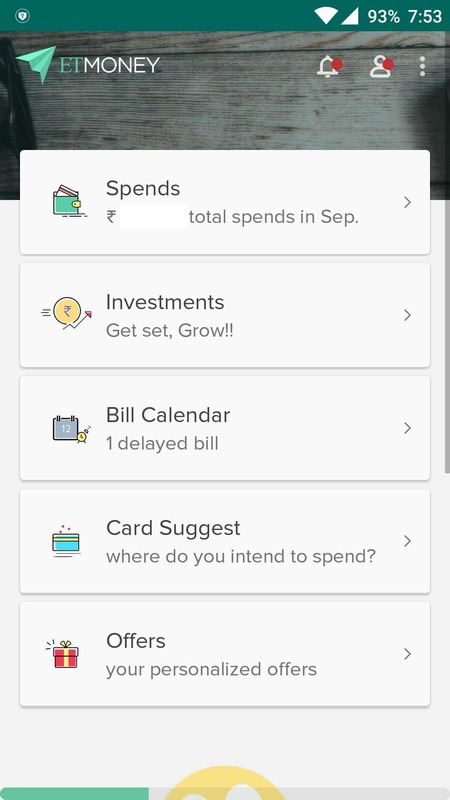 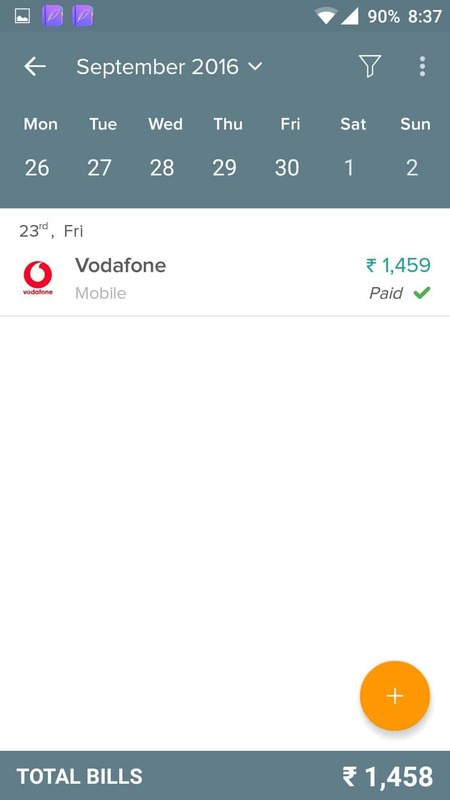 When I was looking for a clean gridded app that does the job, Hola – I found ET Money a.k.a Smartspends 2.0. Spends, Investments (Paperless – Now that’s new),Bills, Card Suggestions and Offers are all in one place the moment I download. 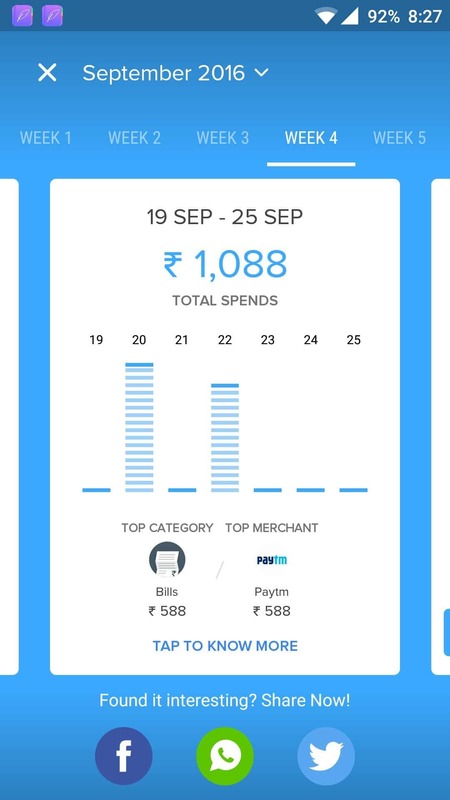 The Spends has a summary of all the transactions that have happened (traced through your messages and bills). 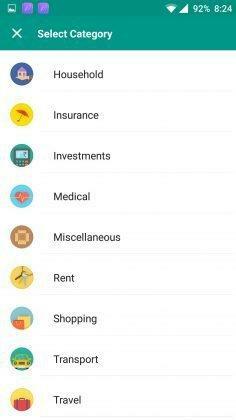 It shows you spends based on categories, merchants you have paid to and also persons you paid to under account management. 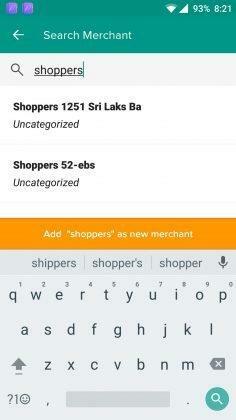 Every manual entry you make would ask you to pick the date, categories and add a merchant/person. 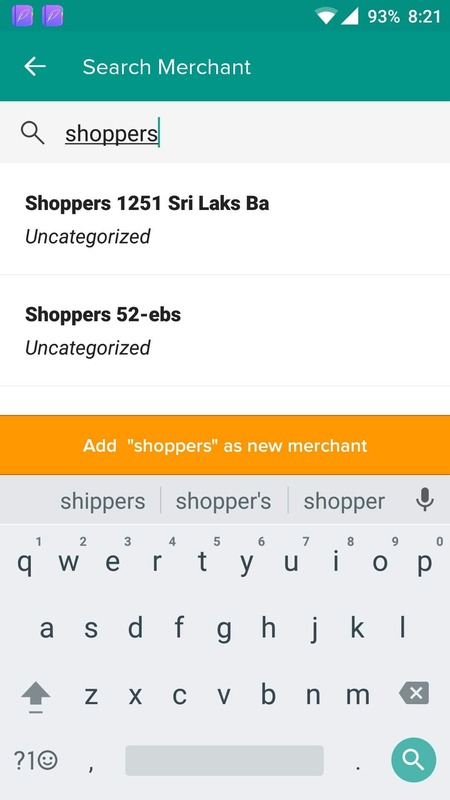 The merchant field has suggestions for major retailers and well-known establishments but also lets you add your kirana shop as well. 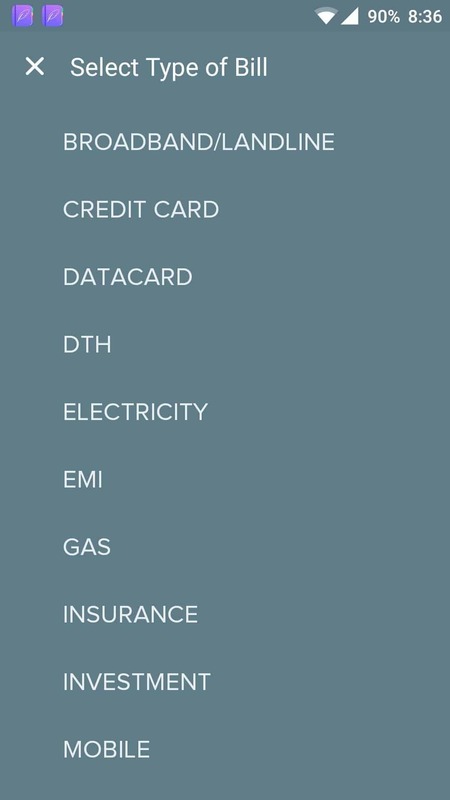 Flexibility wise, I like the fact that the control is with you rather than making you force-feed the data. 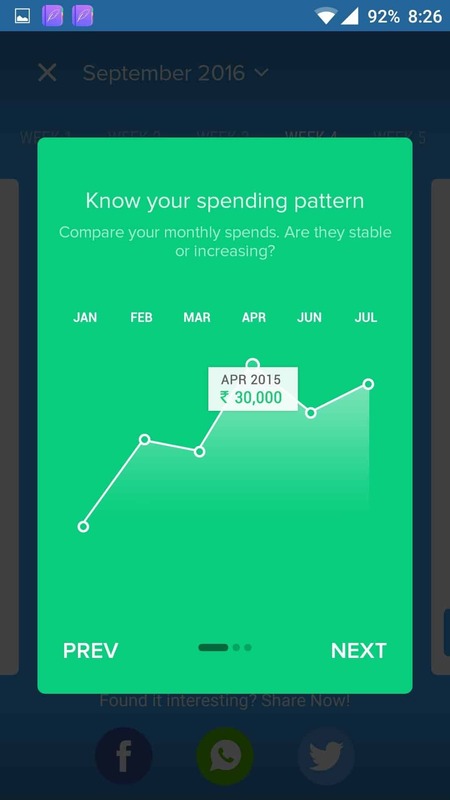 You can also find interesting trends in your spending – Week-wise, category-wise. In addition to adding your existing MFs to track, ET Money also lets you make an investment – all paperless (provided your KYC-Know Your Customer) is in place. 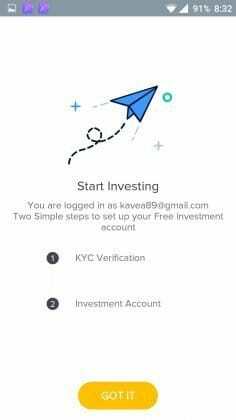 For investing, you need to verify your PAN card number and open an investment account. 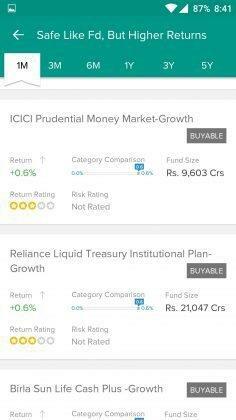 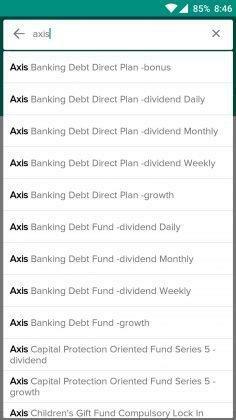 Funds are categorized into Equity, Debt and Hybrid and also helps you find best performing ones based on annualized returns, NAV among others. 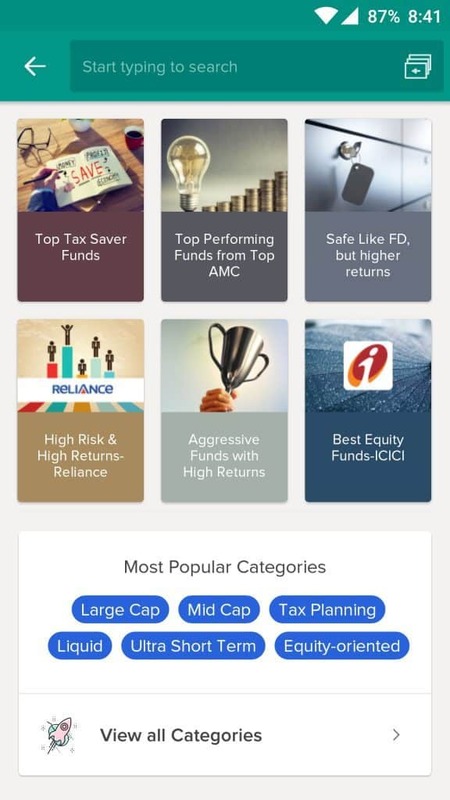 Right from ELSS to short-term funds, there are top suggestions that you can invest in by a tap. 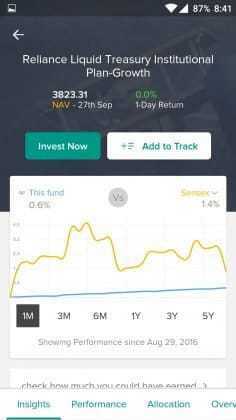 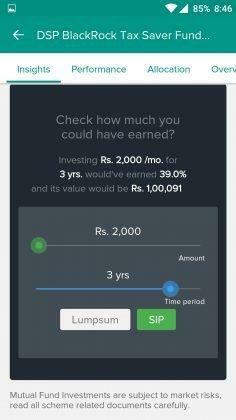 For a newbie investor, it also has a calculator showing how much could have been made, if we invest for 1 month to 5 years in a particular fund. With comparisons and fileters, you can pick and choose the fund according to your risk appetite. 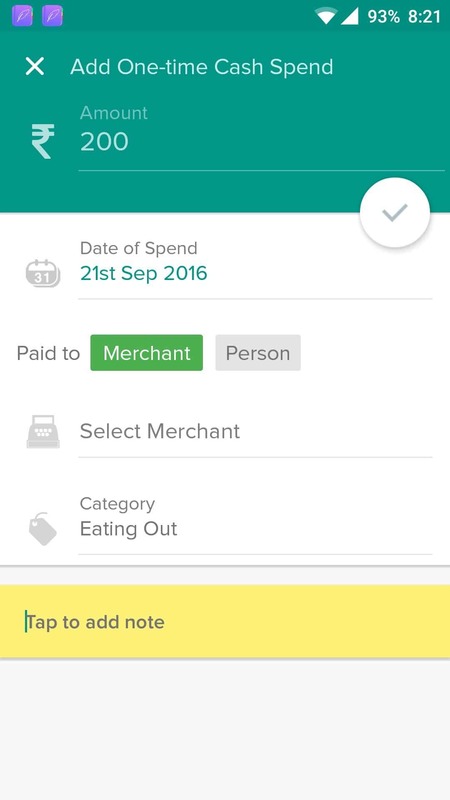 This section captures all your monthly bills and shows a snapshot of when it is due. 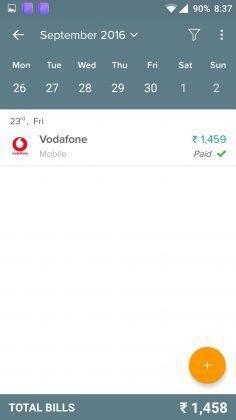 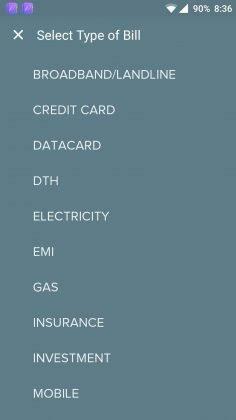 Right from broadband to gas and water bills, you keep track of where you are lagging and when you have paid. 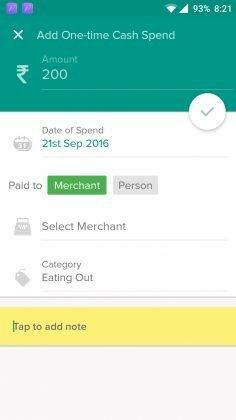 You can also manually enter bills you need to track, of course and be notified days in advance. 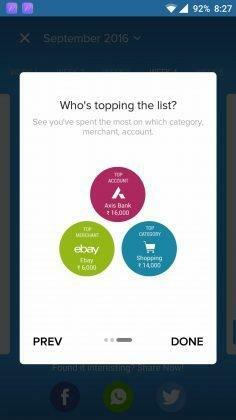 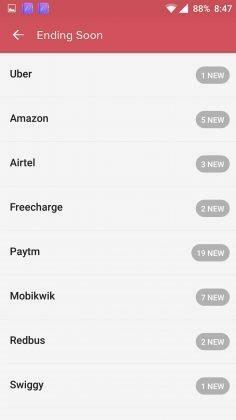 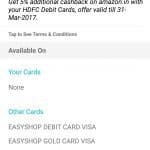 Here is where you can add your card and see the plethora of offers that exist in all categories. What’s more, if you can tell ETMoney where you intend to spend, it would also suggest cards that have offers. 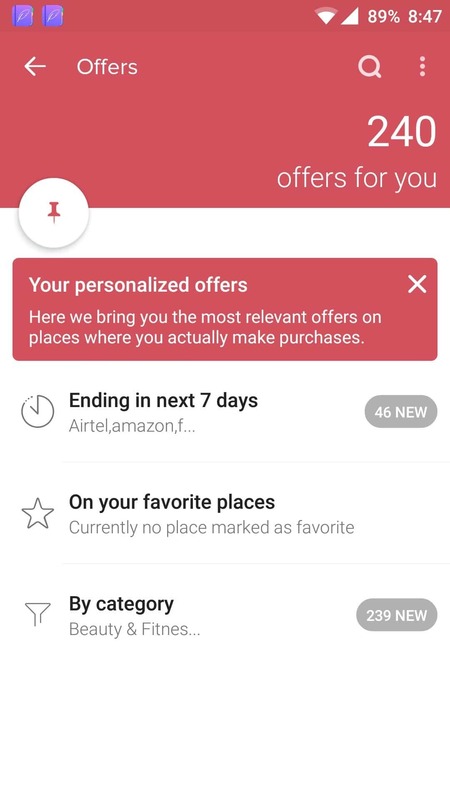 Whether you are a movie buff or a foodie or you have bitten the online shopping bug, there is a card that might just suit your trends. 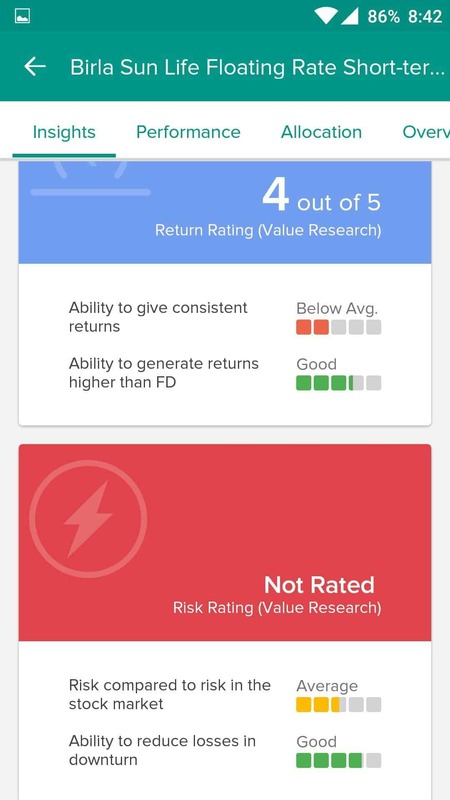 Go ahead and try it! 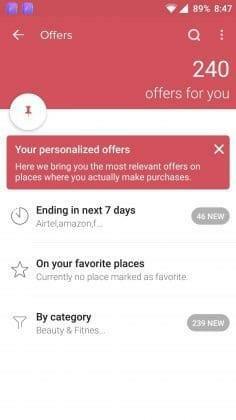 Not a hard guess- a place where you can get offer suggestions on places you are likely to visit. 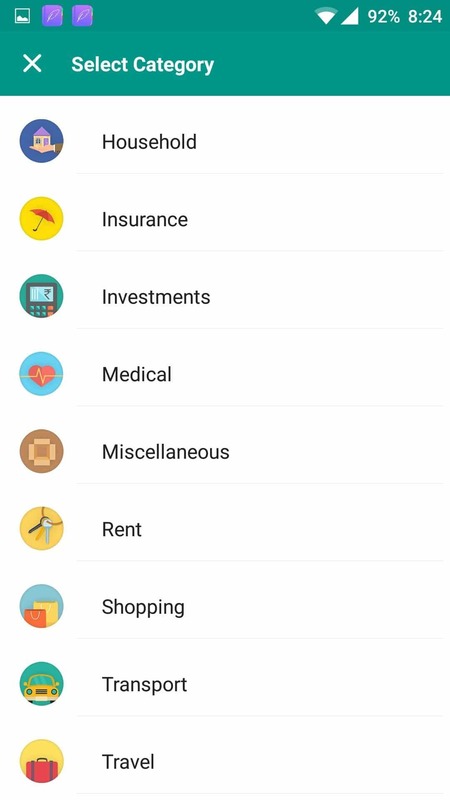 You can either view it based on when it ends or based on the category you want. 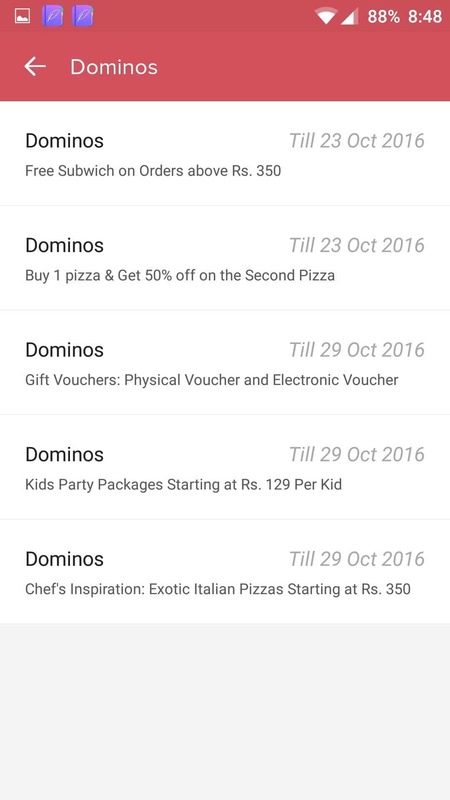 So yes, before you step into Dominos or you click on Flipkart, do check the offers tab. 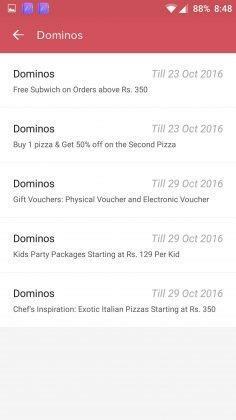 You might save a few bucks. 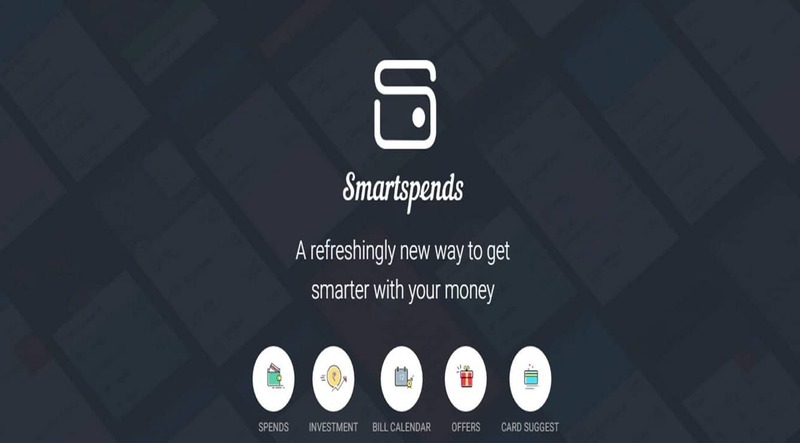 Smartspends 2.0 has grown and matured from Smartspends 1.0. 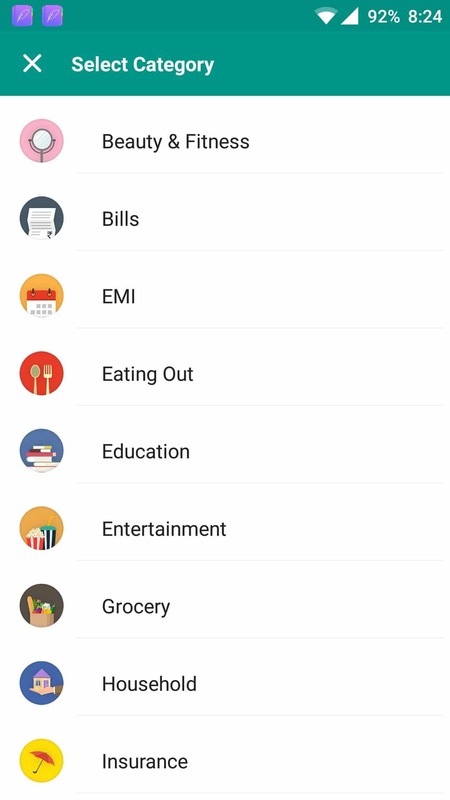 With the clean UI, it gives users a “Hey that’s simple” instead of scaring them away. 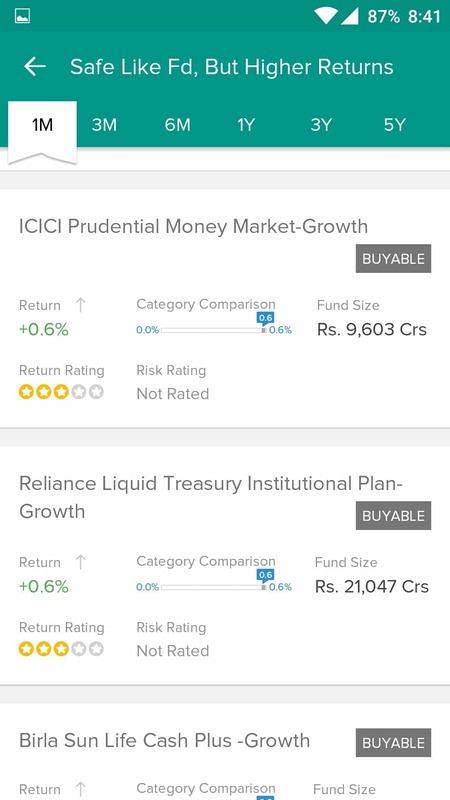 With mutual funds and investments added, it does seem like the world indeed is becoming a smaller place. 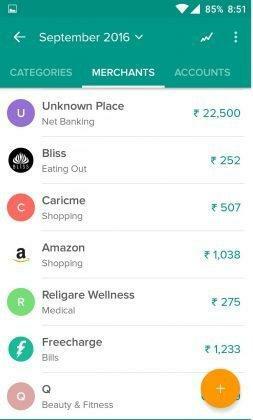 Nice work, ET Money.